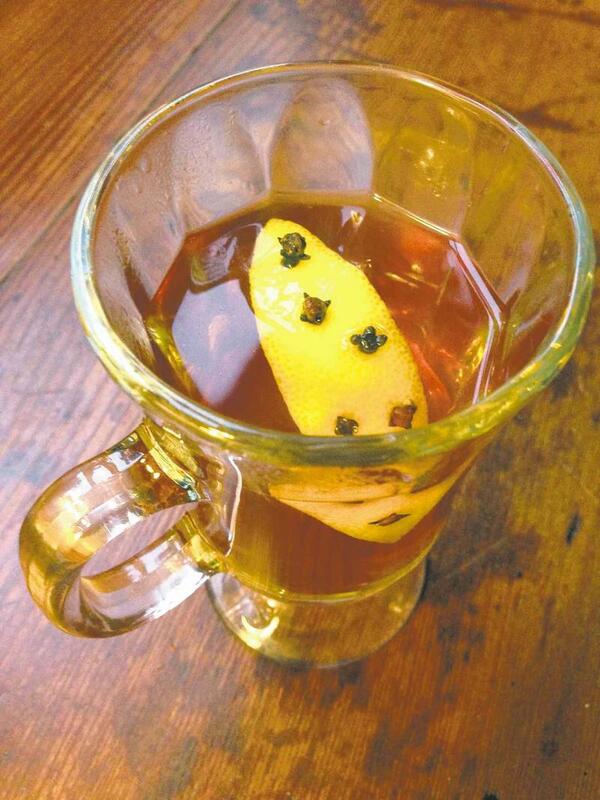 This spirited remedy for the common cold includes a dash of whiskey (optional), chamomile honey, garden-infused simple syrup (see recipe) to taste, hot water, and a lemon studded with cloves. Just a common weed? Dandelion, providing it is pesticide-free, is getting plenty of attention these days for its medicinal properties. Traditional medicine has long known the roots are a nutritious vegetable. Bruising the leaves of any plant in the mint family expresses their essential oils. The Drunken Botanist suggests placing the leaf in one hand and clapping your hands briskly once or twice. 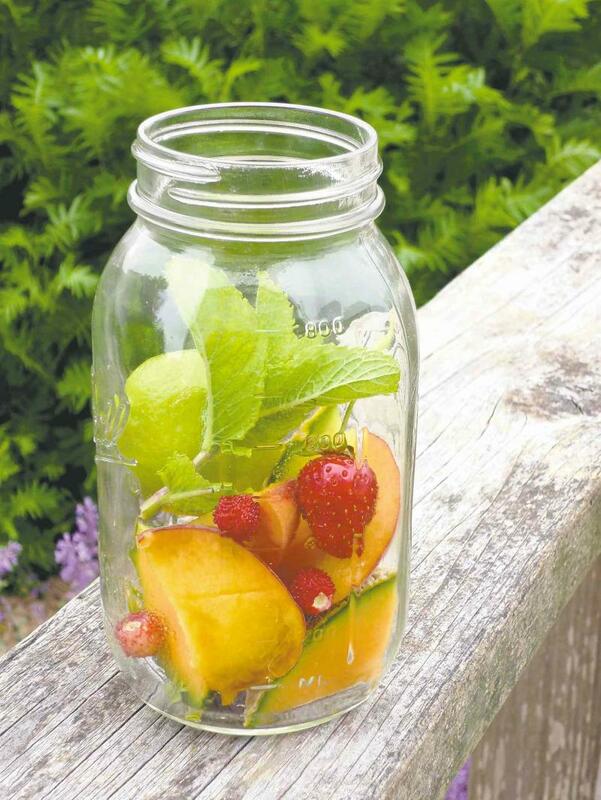 Combine with fresh fruit for a garden-fresh drink. Do a little digging and you will soon discover fascinating facts about the plants that grow in your garden. Some have a dark, secret past that may shock or intrigue you, while others have a practical value that goes far beyond their role as fillers or spillers in your garden containers. If cold winter evenings find you in the company of friends sharing in the enjoyment of a warm, invigorating beverage or shivering at home under a blanket coughing and snivelling, chances are that on both occasions you are imbibing a drinkable concoction that originates from some part of a plant. Our ancestors relied on the plants around them for food, drink, healing medicines, shelter and even weaponry. 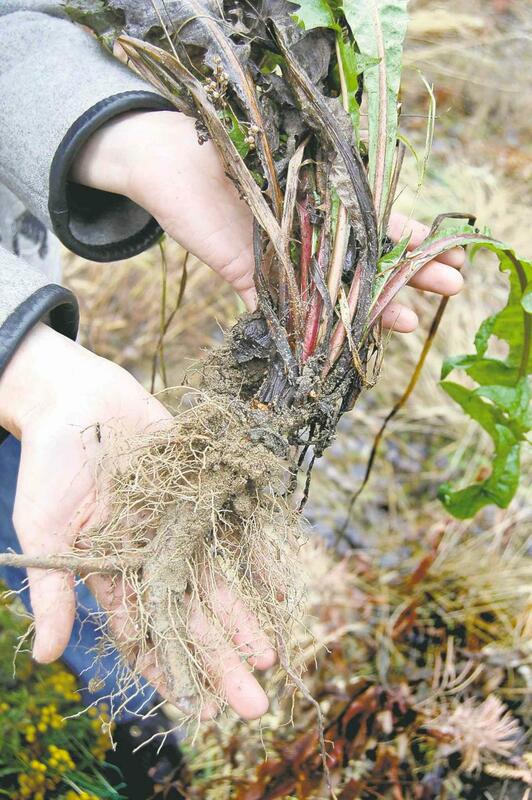 Chad Cornell, master herbalist and owner of The Hollow Reed Holistic Centre, 875 Corydon Ave., is witnessing a resurgence of interest in the medicinal value of plants. "I really think it is a process of re-educating ourselves about the culture that dates back to thousands of years ago," Cornell said. Cornell, a feature contributor in the newly released 2014 edition of The Prairie Garden, published in Winnipeg by The Prairie Garden Committee, says most pharmaceuticals have been derived from plants but made from synthetic versions. "This is why we get a lot of side-effects," Cornell believes. Through his business, he offers workshops educating people on growing their own medicinal plants and making food their medicine. "There is a reason our ancestors used thyme, oregano, sage, rosemary or ginger," Cornell said. "All of these have incredible medicinal properties that can really benefit our health." "The important thing people need to keep in mind is that because something is natural does not mean it is harmless," Cornell cautioned. "We must have respect for a plant's power. I completely support that people should grow, properly harvest and dry their plants and use them for everything from colds, flu, insomnia and anxiety, but do it in an informed way. "It's not hard to grow a lot of these plants, but you have to make sure you dry them without mould occurring, or if you are planning to use the roots, you have to dig them up at the right time of the year." Cornell is interested in plants that will fortify people against stress, but does not subscribe to the classic snake-oil claim that there's an elixir made from a plant that can help us stay young forever. "There are plants, though, called adaptogens that have been very well researched that help us to keep up our energy by acting in non-specific ways to increase resistance to stress," he said. On the menu at Hollow Reed Holistic is a soup made from the chaga mushroom, a medicinal fungus harvested from birch trees in the Northern Hemisphere's boreal forests, as well as Jah Ginger tea, served hot or cold, consisting of lemon juice, maple syrup and ginger oil. Cornell likes to refer to a book called Edible & Medicinal Plants of Canada, a 2009 Lone Pine publication by MacKinnon, Kershaw, Arnason, Owen, Karst and Hamersley Chambers. Another book resource Cornell recommends is The Boreal Herbal Wild Food and Medicinal Plants of the North, by Beverley Gray, and published in 2011 by Aroma Borealis. Beverley Gray, a boreal herbalist in the Yukon, says more and more people are going back to nature because they believe in its ability to heal. "This is the time of year that a lot of people are suffering from SAD (seasonal affective disorder)," Gray said in a recent interview, "so they are looking for remedies to help with a positive frame of mind and keep their immune systems strong." Gray suggests Rodeola rosa, a herb that grows in the Arctic and whose root has been used in traditional medicine for centuries, as well as rosehips, which are high in vitamin C and bioflavonoids and used by herbalists for a variety of ailments. Rosa acicularis, a prickly wild rose, hardy to zone 2, has the highest vitamin C content of any rosehip worldwide. Gray uses rosehips in herbal syrups and always mixes in a small amount of brandy to help preserve the liquid infusion, which serves as a base for tonics and lasts for up to one year if stored in the refrigerator. A plant species capturing renewed interest among herbalists is the dandelion. Gray said this common plant, which grows around the globe, is a cleanser for the body. Used for centuries in traditional Chinese medicine and in traditional Indian medicine, or ayurveda, its potential today as a cancer medication is being studied by a Canadian cancer researcher in Ontario. Gray considers the dandelion the world's most intelligent plant. "It's very good for digestion or constipation," he said. "The flowers are full of vitamin D, the roots are a nutritious vegetable and both the roots and leaves are high in electrolytes." The Boreal Herbal features numerous healthy recipes, including instructions on making pain-soothing treatments from plants and your own skin cream from sweetgrass. 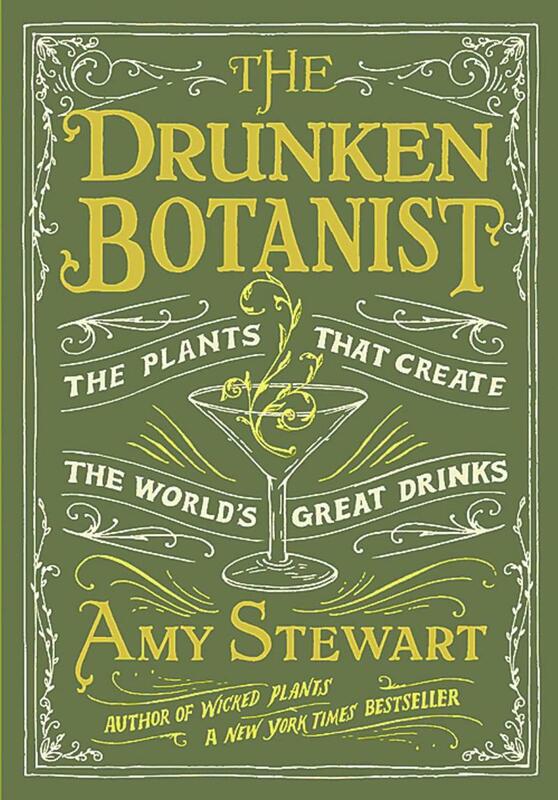 A book that will likely be the toast of the cocktail circuit this holiday season, The Drunken Botanist -- The Plants That Create the World's Great Drinks, by Amy Stewart (Algonquin Books, 2013), explores the centuries-old link between plants and alcohol. Author Amy Stewart, a contributing editor at Fine Gardening magazine, has written four bestselling books on the relationship between plants and people from a historical yet contemporary perspective. With titles such as Wicked Plants: The Weed That Killed Lincoln's Mother and Other Botanical Atrocities (2009, Algonquin Books), and Wicked Bugs: The Louse That Conquered Napoleon's Army & Other Diabolical Insects (2011, Algonquin Books), Stewart combines extensive research with a gardener's passion for the role plants play in our lives, while demonstrating her wicked sense of humour. Book tours can be grindingly similar, but not so for The Drunken Botanist book tour. "It's been a lot of fun," said Stewart. "I've been to botanical gardens and conservatories where we walk through the gardens and talk about some of the plants in their collections that are used to make spirits described in the book -- vanilla bean, citrus plants and allspice trees -- plants that they are already growing, but that they've never really talked about before in the context of cocktails. They will have a bartender, maybe a band. It's really fun and different from the kind of events they've done before." I asked Stewart, who lives in California, if there was a plant during her research that surprised her in terms of being a source of anything that might be drinkable. "I really thought sorghum was a very interesting plant that a lot of people wouldn't think about as something that could be turned into alcohol," Stewart said. "Generally, in North America if we talk about our drinking traditions, we tend to really focus on North America and Europe; we forget about the rest of the world. If we look globally, then we discover that in Africa and Asia, sorghum's use in homemade beer is widespread. Now we're starting to see it in gluten-free beers." "Sorghum is probably one of the most widely grown plants in the world. It's a very unglamorous plant, but one that feeds people during times of famine because it is very drought-tolerant. So it's really a hard-working, heroic plant." With tips on how to spank your herbs to tease out the most flavour and fascinating details on the history behind medicinal bitters, Stewart's book also includes more than 50 drink recipes and has notes on planting a fresh fruit and vegetable garden made exclusively for cocktails. Stewart, who once had a poison garden before pulling it out and planting the cocktail garden, clearly sees plants as much more than just a pretty face. "I'm interested in storytelling," she said. "A plant growing by itself in a forest is not really doing anything that you can tell a story about. It's when people start creating a global industry around that plant, or make medicine from it or figure out how to make a drink from it or how to poison someone, that's when you have an interesting story."